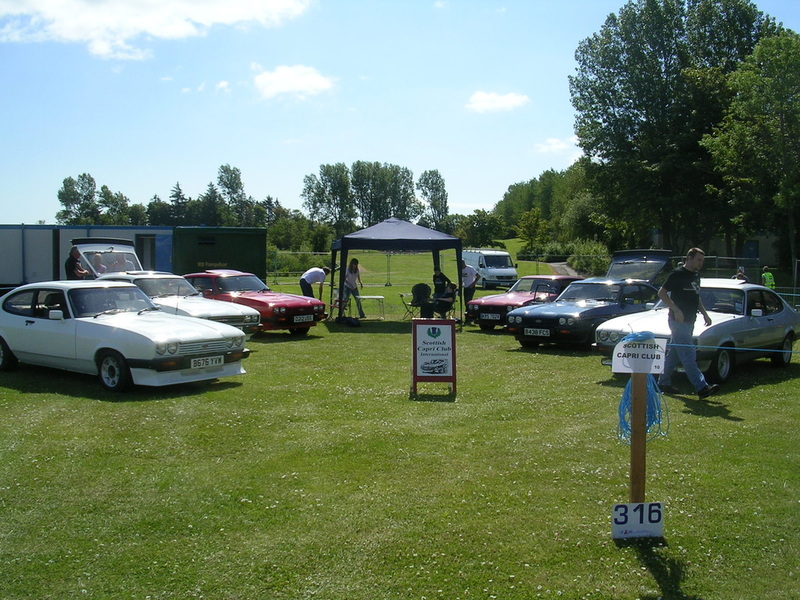 As a club we attend a number of shows throughout the show season as a club. We also host our own annual show which has been running since 1991! Please be advised that many of the shows we attend require advance booking so please let us know if you wish to attend any. Check the club magazine and Forum for further details on each show as they become available. As a club we would ideally like to have a presence at least one event per month. As such we have detailed below suggested events to attend over the 2017 show season. We are open to suggestions and changes as members wish. ​When entering above events please also let us know you are attending by emailing scottishcapri@hotmail.co.uk. This allows us to track attendees and arrange meeting points for travel to the shows. We would like to thank ﻿﻿everyone﻿﻿ who has supported the club show over the years. ​For 2017 at least there will not be a Scottish Capri Club hosted show this year. The feeling from the meetings was that due to the prohibitive costs and ever increasing safety requirements to use the track as we would like, meant that Grampian Transport Museum was no longer a viable option. Hopefully with no pressure to organise our own show it will give club members who were previously involved in the arrangements more time to organise other events such as runs and local shows.